Associate Dean of the School of Informatics will assist in reshaping the future of the University of Piraeus. 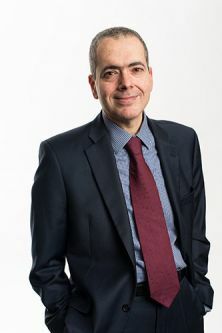 Professor George Spanoudakis, Associate Dean for Research in the School of Informatics, has been elected as a member of the governing Council of the University of Piraeus in Greece. "It is an honour for me to be elected as an external member of the Council of the University of Piraeus and to undertake the advisory role that the appointment entails. I will be helping to shape the future of the institution in one of its most strategically important periods. Greek academia is going through a period of long-needed strategic reforms aimed at creating institutions that can reach out more effectively and contribute actively to the society and economy of the country. Along with the honour, my involvement in this process carries a great challenge and responsibility." Founded in 1938, the University of Piraeus was started as the 'School for Industrial Studies' by the Industrialists and Tradesmen Association. The institution started operating as a Public Higher Education Institute in 1966 under the title, 'Graduate School of Industrial Studies' and received its present name in 1989, growing to become one of the main universities in Greece.